I have read many of the States of Love stories, and enjoyed them all. As a non-native, I have found the tour fascinating, and the romance engaging. What stood out for me in this book was the 'proper' way in which both men, but Jordan in particular, behave. Jordan could easily have chosen an easy path a couple of times, but does what he feels is right and moral, even if it is not what he would naturally choose. I like that time is less important than his need to be someone worthy. It is written so well, and he is given the chance to grow as a character – which is impressive in a short novel. Beck is a lovely guy too, but for me, Jordan just shone. Very enjoyable addition to the series, thank you, Ms. Bethke. 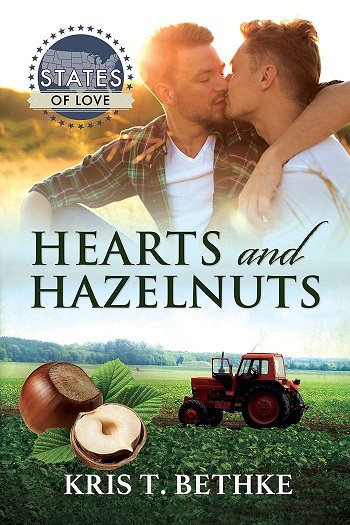 Reviewers on the Wicked Reads Review Team were provided a free copy of Hearts and Hazelnuts by Kris T. Bethke to read and review.